Kanazawa Makoto (金沢真; born May 24, 1992) is a professional player of the Nihon Ki-in. Pupil of Fujisawa Shuko. Shodan in 2007, promoted to 2 dan in 2009-09-15 and 3 dan in 2011-09-02. 7 dan in 2014-11-13 for entering the 40th Meijin league. 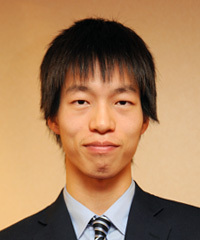 Winner in 2012 of the 37th Shinjin O.